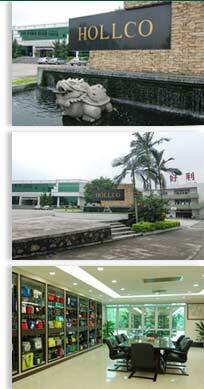 One of China’s leading bag manufacturers, Dongguan Hollco Bags Manufacturing Ltd has more than 36 years of experience and has built a reputation of expertise supplying the leading American and European companies in the promotional and retail markets. 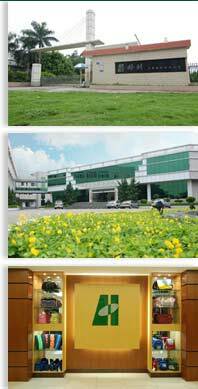 Situated in Dongguan, just 1.3 hours from both Hong Kong and Canton, the new 23, 000 square meter factory has more than 1500 employees specializing in the manufacture of cooler bags, document bags, computer bags, sports bags, travel luggage, first aid kit bags and OEM products. The latest designs are displayed in the new 250 square meter showroom, complete with new materials library featuring a choice of materials including nylon, polyester, cotton, canvas, PU and PVC based materials. The layout of the showroom, meeting room and sample rooms are also designed specifically to allow buyers and designers to work in a comfortable and spacious environment, allowing ideas to develop effortlessly into finished products. Regular meetings with other members of the Hollco production group also ensure the exchange of key information and best practices leading to constant improvements in the manufacturing process and working environment. With more than 120 containers monthly output, significant economies of scale are achieved, allowing Hollco Bags to manufacture at very competitive prices while maintaining strict quality standards. The state of the art factory is ISO 9001 and compliance to C-TPAT certificated and yearly audits ensure that the factory continues to improve to be ahead of the average manufacturers in China. Shunde Pronto Manufaturing Co., Ltd.
Yangjiang Jie Da Wallet and Metalware Products Co.,. Ltd.